A signature dish from Kerala, this is a delicious stir fry made using cabbage and coconut. 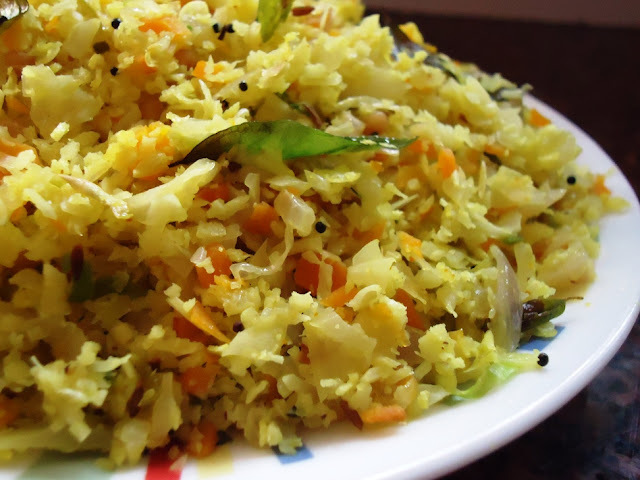 Any traditional Kerala Sadhya is incomplete without the Cabbage Thoran. 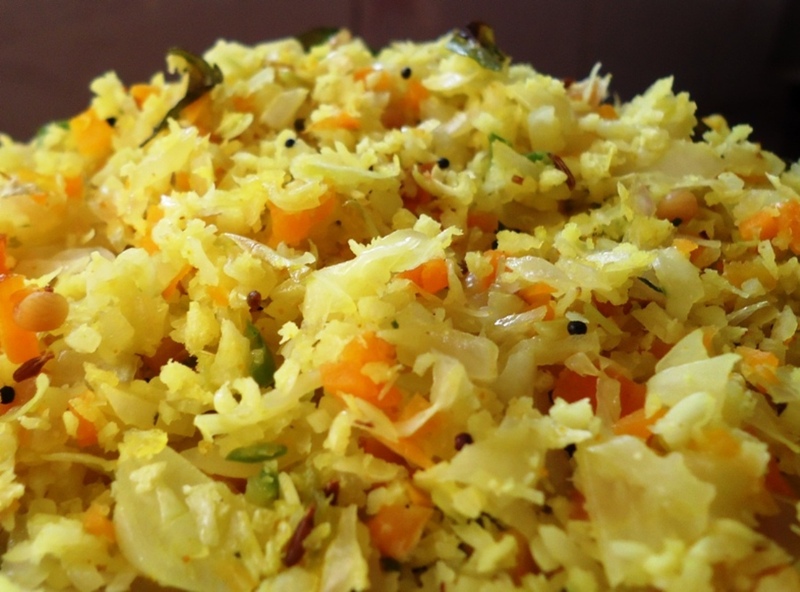 A combination of cabbage and carrot makes a more colourful and tastier dish. Quick to make, nutritious and delicious, it makes a great combination with hot rice and spicy red fish curry. Cabbage is a wonderful vegetable rich in nutrients and antioxidants.The picture given is the cabbage carrot thoran I had for lunch today. Shred the cabbage as finely as possible. Grind together coarsely the button onions, coconut, green chillies, one sprig of curry leaves, cumin seeds and turmeric powder. Do not blend too much; it has to have a crushed texture. Heat oil. Add mustard seeds, when they splutter add remaining curry leaves and the dry red chillies. Sauté for a minute. Add the cabbage, ground masala and salt. Toss well. Sprinkle a little water. Cover and cook on low fire, stirring occasionally to prevent from sticking and burning. About 6-8 minutes. Do not overcook. When the cabbage is cooked, turn up the heat and stir for a few minutes till the thoran is dry. Shredded carrot, minced green chillies and minced onion can be added along with the cabbage for a more colourful and tastier dish. Adding urad dal along with mustard seeds adds an unexpected wonderful crunch to this veggie dish. Urad dal aka white lentil....which is simply black lentil split without it's skin. Add them after the mustard crackles and lower the heat to prevent them from burning. Did you know that cabbage helps to prevent cancer and it was called the healing drug of the poor in medieval times. Read cabbage facts to find out more.